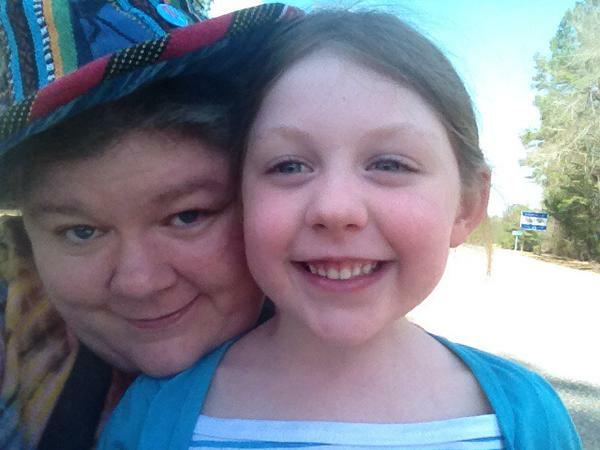 A Spring Break Adventure on Scenic Highway Seven, in Tweets. 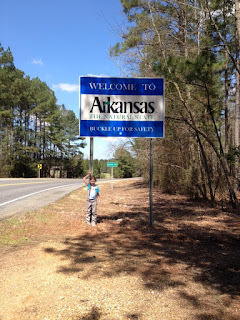 My daughter Hunter and I are planning our research trip on this year's hot highway, US Highway 71 in western Arkansas. Last year, we tackled Arkansas's longest state highway, Scenic Arkansas Highway Seven, from the Louisiana Border all the way to Diamond City. Check out our adventure through the Tweets shared that marvelous week, along with links to the articles produced from our trip, and offer your suggestions on other highways in Arkansas we should tackle. These are the Tweets from that epic trip, in order. Some words are spelled wrong, some images are blurry, but that's part of the charm. We were sharing our trip live and enjoying what we were experiencing along the way. Read more about our lunch and the history of the Minute Man Restaurant chain, here. Check out the South Arkansas Arboretum in detail, here. Our first night, we stayed at the Hampton Inn in El Dorado. I love these properties. They always have dependable breakfasts and are my prefered road hotels. The secret to a good trip, especially for the longer trips - breaks. We did take time to read, relax and write along our journey, which gave us some downtime. Here, Hunter's reading before dinner. More on our visit to the Arkansas Museum of Natural Resources, here. More details about our stay at DeGray Lake Resort State Park, here. You really should check out Mid America Science Museum. Take a look. quiet to sleep. You'll hear a lot of noise from the street below, thanks to the original window sashes. But what a view. When a thunderstorm rolled in overnight, everything below sparkled. Take a look inside the Arlington, here. Galaxy Connection was a lot of fun, and for Star Wars fans, it is the museum you're looking for. Hollis Country Store has a long history. restored cabin with a patio, a fireplace inside, a fireplace on the patio and a bathroom with a whirlpool tub the size of a queen-sized bed. Hunter slept on the futon couch and was so pleased to have her own space after three nights of hotel accommodations in the same room with me. Oh, how I love thee, Rotary Ann. Hunter and I stayed at the Lakeshore Treehouse Resort at Diamond City. How close is it to the end of Scenic Arkansas Highway Seven? The sign for the end of the road is on the property. Once again, because of privacy reasons, we didn't share our location for the final night. But the Arrowhead Ridge is just fantastic. After that, we were exhausted, so we headed home. This year's trip will cover seven nights instead of six (with an option for an eighth night). We're planning stays in Bentonville, Rogers/Springdale, Fayetteville, Fort Smith, Mena and Texarkana and stops all along US Highway 71. If you have suggestions, please send them to kat@tiedyetravels.com.